Vietnamese Grandmaster Le Quang Liem finished second in the World Open 2017 chess tournament which wrapped up in the US on July 4. Vietnamese Grandmaster Le Quang Liem. 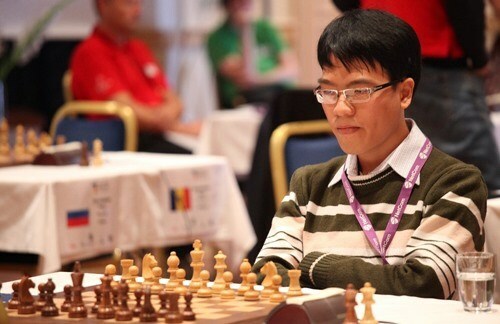 Liem, 2013 world blitz chess champion, won seven points in nine rounds. He tied with Andrey Stukopin of Russia, Elo 2577 in the eighth round and beat Holden Hernandez of the US, Elo 2510, in the last round after 74 moves. Tigran Levonovich Petrosian of Armenia, Elo 2595, took the title with 7.5 points and walked away with the prize of 20,300 USD. With this result, HCM City-born Liem added one point to his Elo rating to 2727 and ranks 28th in the world. Liem will next compete in the Hainan Danzhou Super Grandmaster Chess Tournament, to be held in China on July 8-19. The 11-day event will be a 10-player round-robin, with a total prize of 60,000 USD, of which the winner will get 20,000 USD.